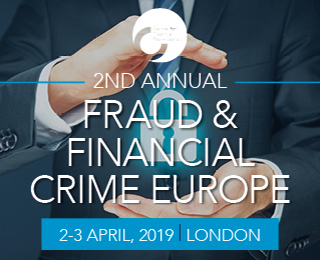 Join us at the upcoming 2nd Annual Fraud and Financial Crime Europe Summit. Network and learn from like-minded industry professionals from Citi | Deutsche Bank | UBS | MUFG | Sumitomo Mitsui Banking Europe | RBS Edinburgh | Cabinet Office – City of London Police | Standard Chartered and many more. Across two days, the Summit will address a range of topics including the 5th EU money laundering directive, intelligence sharing, cyber resilience, cryptocurrency, compliance, sanctions and more! Click here to view the full agenda and speaker line-up.